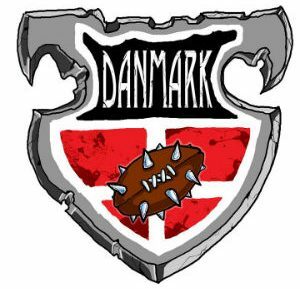 Hot on the heels of the Eurobowl comes the “Copenhagen team cup – draftedition” a world cup warm up event. The Squad consist of 2 coaches. They have to play different races, just as at the World cup 2019 – http://www.nafworldcup.sbbm-turniere.com/. The actual draft of races is however a little different. There will only be one team of every race, unless the number of participants exceed the number of races. Before round 1 all squads are randomly given a number between 1 and x (x is the number of squads in the tournament). The first squad gets to choose their team-race first and their second team-race last, nr 2 squad gets to choose second and second to last and so on. The organizers will provide a very competitive roster for each race, however you will get 30 min to adjust your roster, and formulate a strategy for your squad. After all rosters are locked, we will draw the first round at random and the opponents within the squads at the first round is also chosen at random. Round 2 and 3 are completed as per the normal rules of the world cup, and everyone keeps their initial team. Please note that non naf members must add 75DKK / 10€, this will get you one year NAF subscription https://member.thenaf.net/. The tournament is 3 rounds in total. Game time is 2 hours and 30 min, if you wish to continue into breaks you can do it, if both coaches agree. All matches must be finished 15 min before the next round, or the organisers become sad… sad organisers are predisposed to make evil rulings. As a consequence of the special draft rule, we are setting up a preliminary maximum nr of participants at 24. If we receive an overwhelming interested, we have few ideas about how to adjust draft accordingly, by including more than one of some of the races. However if this becomes relevant we will contact all that have signed up about adjustments to the draft. First round is random draw. Subsequent rounds will be swissdraw. The best placed squads will be seated on the tables with the lowest numbers. The best placed coach within each squad plays against each other. Prize for the winning squad. 2nd squad and 3rd squad. You do not have to show up with your own miniatures for this tournament, since we do not guarantee that you can play your favorite race. he organisers will try to arrange miniatures for most races, however, we might be struggling to cover all bases. So if you have a nice team already painted and ready to go, that you don’t mind another one potentially using for the day, we would love the helping hand. Please let us know before november 17 2018. The four minute rule is not enforced, but if the game is not proceeding according to the time schedule, the organiser may require that the rest of the game will be played on a timer(battleclock). Any coach can request a timer at any time.The organisers strongly recommend introducing a timer, if the second half has not started after 1½ hours. Should one player ignore the timer, that player will automatically concede his game. If you are including a Star Player, you must have 11 players on your team BEFORE hiring him. Having 10 players plus a Star is not allowed. All inducements must be on the roster. All skills must be chosen before the draw for round 1 is made. All teams are considered equal in TV despite actual TV. All injuries are reset after each game. Each game will start with a fresh roster. Dice must be easily recognized. If a Coach cannot accept your dice, you must play with standard dice (official NAF-dice). If a Coach requests to use your dice, you must “share” dice. If in doubt the Organisers have the final word.